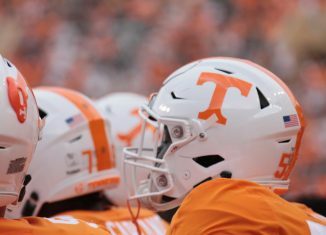 Sunday night through Monday night were a stressful 24 hours for Vol fans. 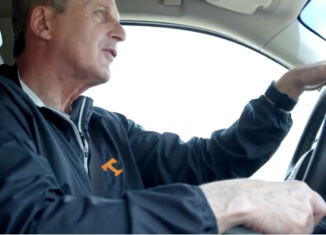 And it wasn’t easy for Rick Barnes, either. 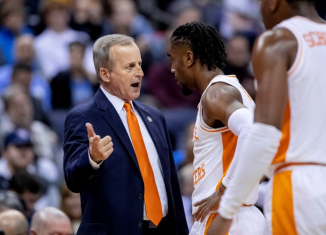 Tennessee’s head coach in men’s basketball deliberated between accepting a lucrative offer to become the next head coach at UCLA or staying with the Vols with a renewed offer from UT. 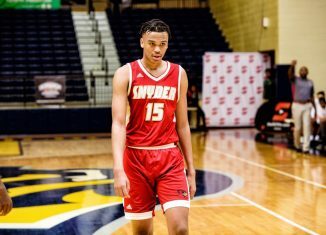 Reports first surfaced on Sunday night that Barnes was a “serious” candidate for UCLA’s opening, and the more time dragged on, the more it appeared that the move to Los Angeles could happen for Barnes. In the end, however, Barnes decided to stay. 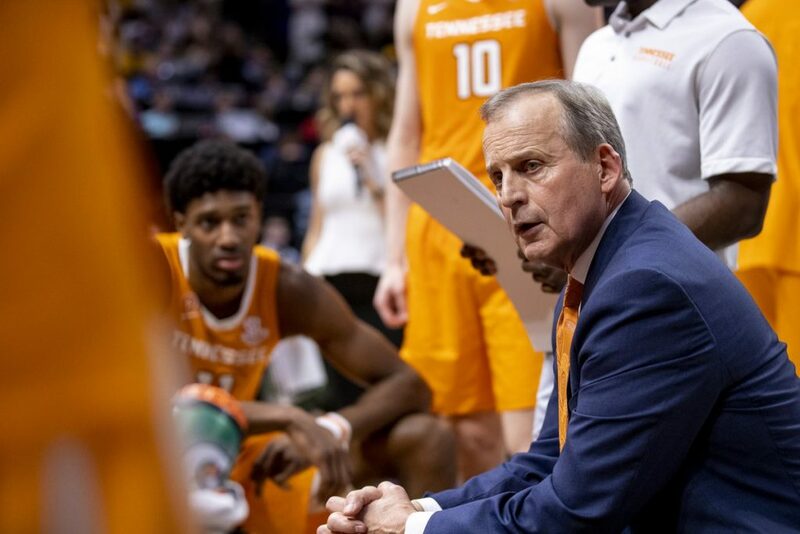 It was officially announced by Tennessee on late Monday night during halftime of the NCAA Tournament Championship Game that Barnes accepted UT’s new contract offer to him and would stay with the Vols. 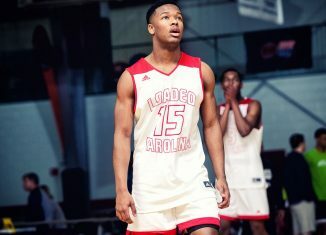 UCLA then turned their attention to Cincinnati’s Mick Cronin, and the two came to an agreement on Tuesday. 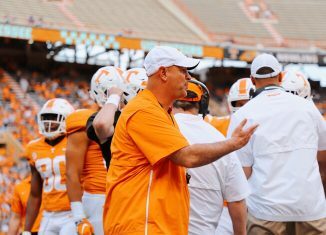 In an interview with Chris Low of ESPN, Barnes detailed why he was intrigued by UCLA and ultimately why he elected to stay in Tennessee. 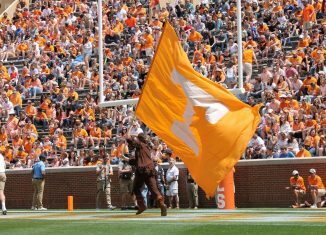 “It had nothing to do with Tennessee,” Barnes told Low. 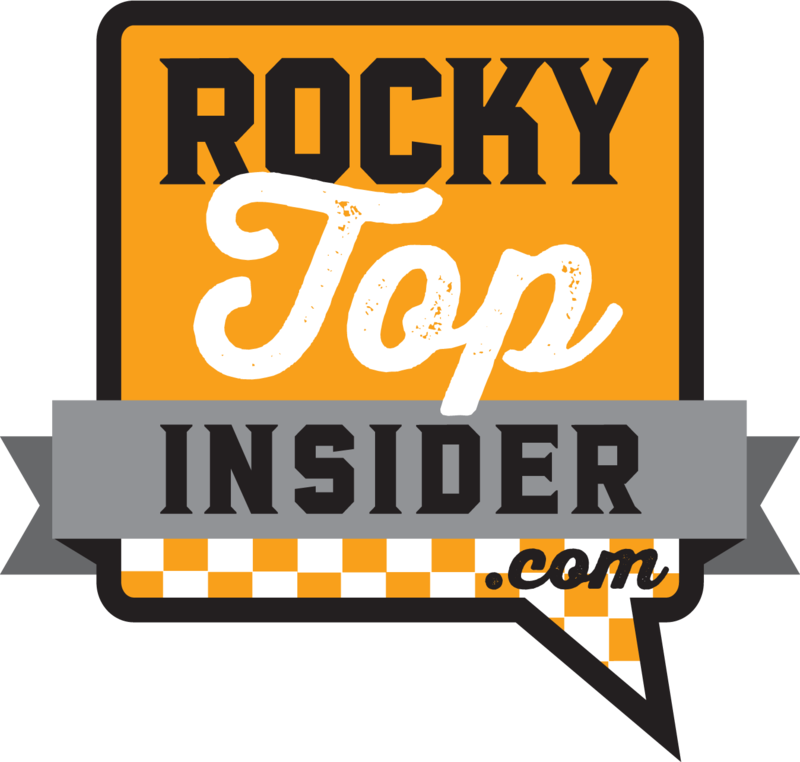 “I’ve been here for four years and could never, ever say enough about the way this university, this state, and the Vol Nation has treated me. It was simply the lure of UCLA basketball. I remember all those great teams and great players going back to Lucius Allen, Tommy Curtis, Lew Alcindor, and Bill Walton, and I had a chance to spend quality time with Coach Wooden in his later years when I was able to go by and meet with him at his condo and go to lunch with him. Barnes was born in 1954, and his formative years as a student of the game would’ve been near the height of UCLA’s power. John Wooden won his first championship with the Bruins when Barnes was eight, and UCLA’s historic run of seven-straight NCAA titles would’ve come while Barnes was in grade school. The beginning of Barnes’ coaching career came after Wooden’s time ended at UCLA, but the mystique of what the Bruins did and that job was still prevalent even when Barnes took over at George Mason for his first head coaching job in 1987. Lately, though, UCLA hasn’t been what it once was. After Ben Howland took the Bruins to three-straight Final Four appearances in 2006, 2007, and 2008, UCLA has failed to make it beyond the Sweet Sixteen. In fact, the Bruins have missed making the NCAA Tournament four times in the past 10 seasons. 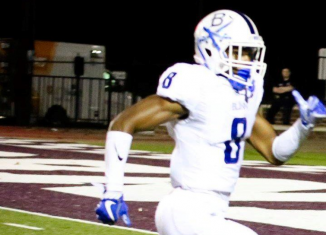 The allure of trying to revitalize a blue blood program was strong for Barnes. 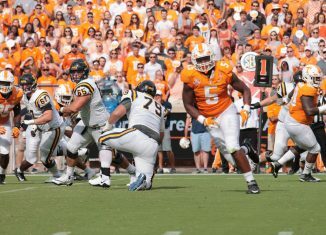 Ultimately, though, he decided to stay with Tennessee after UT came back and countered UCLA’s hefty offer. 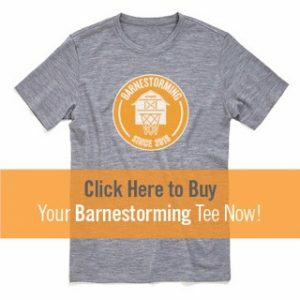 According to ESPN, Barnes’ new deal at Tennessee will pay him over $4 million next season and could get close to $6 million annually by the end of the contract. His new deal also includes a larger salary pool for his assistants as well as multi-year contracts for some of his staff. The larger pool of money for assistants seemed like an especially large point of interest for Barnes according to multiple reports during UCLA’s courtship. Two years ago, Barnes pulled money out of his own salary to give assistant coach Desmond Oliver a raise that Barnes felt Oliver deserved even though UT told him at the time it “wasn’t in the budget” to give Oliver a raise. That was two years ago under a completely different administration, though. Now, Barnes feels much more supported and encouraged. Even with that new deal and new sense of support, the decision wasn’t an easy one for Barnes to make. So in very typical Barnes’ fashion, he turned to prayer to help make that choice. 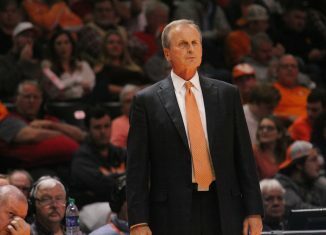 Ultimately, Barnes and his family came to the decision to stay with Tennessee, and now the expectations will be raised. 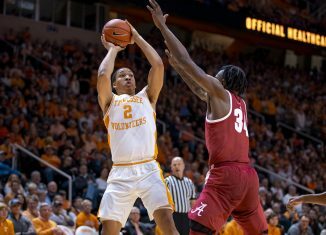 Tennessee’s 2018-19 season was a memorable one during the regular season as the Vols soared to No. 1 in the country and won a program record 19-straight games. But the postseason wasn’t as memorable, as Tennessee got blown out in the SEC Tournament Final by Auburn and fell to Purdue in overtime in the Sweet Sixteen. 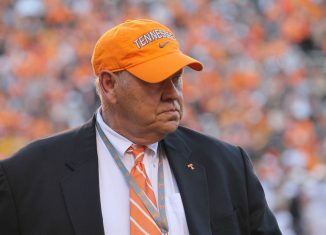 But Barnes thinks the horizon is very bright in Knoxville, and he believes things can reach another level in the future. You can read Chris Low’s full interview here.